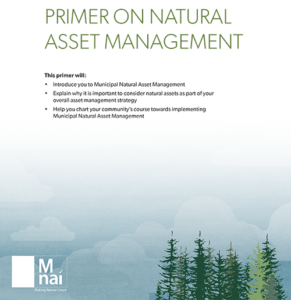 A growing number of communities are considering undertaking municipal natural asset management. It may look daunting at first, but it really isn’t much different than the standard asset management processes for which all local governments in Canada are responsible. This primer, developed to support the Federation of Canadian Municipalities, is a great place to start to learn basic steps that local governments can take. Let us know if you have questions.